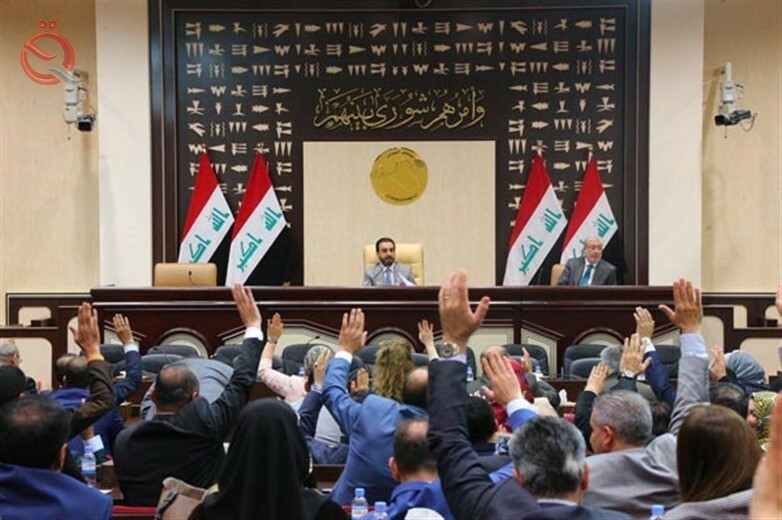 The Finance Committee in the House of Representatives to prepare and write the final versions of the draft federal budget law for 2019 after the end of the file of additions to all ministries and government institutions and independent bodies, expected to introduce the bill to vote by the end of next week. The number of observations made by the members of the House of Representatives on the law of the general budget to the Finance Committee of the parliament about "300" note relating to the total allocations for the development of the regions and funds allocated for the reconstruction of western cities and budgets of the provinces of Basra and Babel and Wasit and oil exports from the Kurdistan region. The member of the Finance Committee in the House of Representatives Jamal Couger in an interview with the "range", and his follow-up "Economy News", that his committee "ended the file hosting all institutions and ministries of the State, including deputies and parliamentary blocs and listened to their comments on the federal budget law for 2019." Last week, the Parliamentary Finance Committee set the dates of meetings to host representatives of government ministries and independent bodies and set a time limit for ending this file for five days to discuss the budget law with these government institutions. The Cougar that "the parliamentary finance in the re-drafting of the Federal Budget Law after receiving a large number of observations by these government institutions and members of the House of Representatives," wishing to "finish all formulations in the next few days." The House of Representatives ended the first and second reading of the federal budget law for the year 2019 after the government committee and parliament, which was formed earlier in the amendments described briefly on the draft budget law. The head of the Kurdistan Islamic Union bloc said that "the re-wording includes the conduct of transfers in the sections of the budget disbursement from one ministry to another to ensure reduction," believing that "parliamentary finance needs about a week to almost complete the preparation of the budget law and submit it to vote in the House of Representatives." The federal budget allocated large sums of money to the ministries of defense and interior compared to ministries and other state institutions and investment budgets, where the parliamentary finance committee will conduct transfers in the doors of the exchange of these ministries. The Kurdish MP pointed out that his committee "will enter into the discussion of controversial articles in the budget law, ranging from 20 to 22 articles in the draft law," noting that "the most controversial topics are the funds allocated for the development of the province, and budgets of security ministries with two ministries of sovereignty that arrive ) To more than 60% of the size of the general budget. The draft federal budget law for 2019, sent by the Council of Ministers to the House of Representatives on October 24, 2018 of (52) material. " MP said in his speech that "the Finance Committee entered into serious meetings devoted to the discussion and preparation of the budget law Federal ", explaining that" the redrafting of the law oThese thier points of contention within the Finance Committee. " He notes that "the total observations of the members of the House of Representatives on the budget law reached about (300) note submitted to the Finance Committee, which will be included in the budget law as well as observations of ministries and independent bodies and other departments in the Iraqi state." And confirms the Kurdish MP, devoid budget of job grades law with the exception of the Ministry ofElectricity contracts. " Allocated the proposed budget , the amount of 133 trillion dinars to be spent on repayment ofinternal and external debt, and 33 trillion dinars for government projects, and 100 trillion current expenditure.